The top surface of the tibia (the tibial plateau) is made of cancellous bone, which has a “honeycombed” appearance and is softer than the thicker bone lower in the tibia. 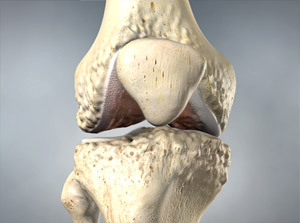 Fractures that involve the tibial plateau occur when a force drives the lower end of the thighbone (femur) into the soft bone of the tibial plateau, similar to a die punch. The impact often causes the cancellous bone to compress and remain sunken, as if it were a piece of styrofoam that has been stepped on. > Pale, cool foot — A pale appearance or cool feeling to the foot may suggest that the blood supply is in some way impaired. > Numbness around the foot — Numbness, or “pins and needles,” around the foot raises concern about nerve injury or excessive swelling within the leg. > X-rays. The most common way to evaluate a fracture is with x-rays, which provide clear images of bone. X-rays can show whether a bone is intact or broken. They can also show the type of fracture and where it is located within the tibia. > Computed tomography (CT) scan. A CT scan shows more detail about your fracture. It can provide your doctor with valuable information about the severity of the fracture and help your doctor decide if and how to fix the break. > Magnetic resonance imaging (MRI) scan. An MRI scan provides clear images of soft tissues, such as tendons and ligaments. Although it is not a routine test for tibia fractures, your doctor may order an MRI scan to help determine whether there are additional injuries to the soft tissues surrounding your knee. 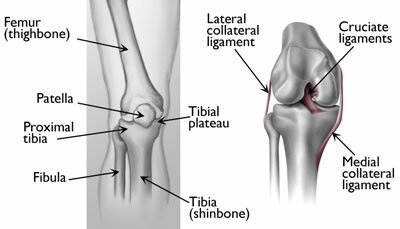 In addition, if you have all the signs of a tibial plateau fracture, but x-rays are negative, your doctor may order an MRI scan. When bone is injured there is often reaction in the bone marrow which can be detected on MRI and means that a fracture has occurred. In an active individual, restoring the joint through surgery is often appropriate because this will maximize the joint’s stability and motion, and minimize the risk of arthritis. > What are my unique risks and benefits with nonsurgical and surgical treatment? > How might this injury affect my long-term expectations for daily living activities, work, and recreational activities? > Do I have a medical or social history (smoking, recreational drug, alcohol) that might have an impact on my treatment or outcome? > If I get arthritis, what can I expect and what are my options? 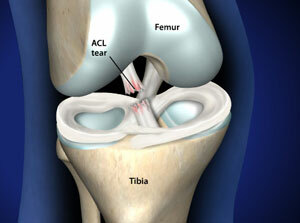 > After treatment begins (surgical or nonsurgical) when can I expect to bear weight and bend my knee? > How will the recovery phase affect work and family responsibilities? > What kind of help, if any, will I need during my recovery? > If I have surgical treatment and a “bone filler” or substitute is used, what are my options? What are the risks and benefits? > Will I be on anticoagulation medications (“blood thinners”)? If yes, which one and for how long?